Imagine how beautiful this table would look in that special part of the house! Imagine the compliments you will get on this beauty! The Isabella table is a beautiful ball and claw style table featuring a beautiful Natural Oak finish. The table offers you strength, stability and an antique touch that cant be found anywhere else. The table features an incredibly detailed hand-carved ball and claw design. 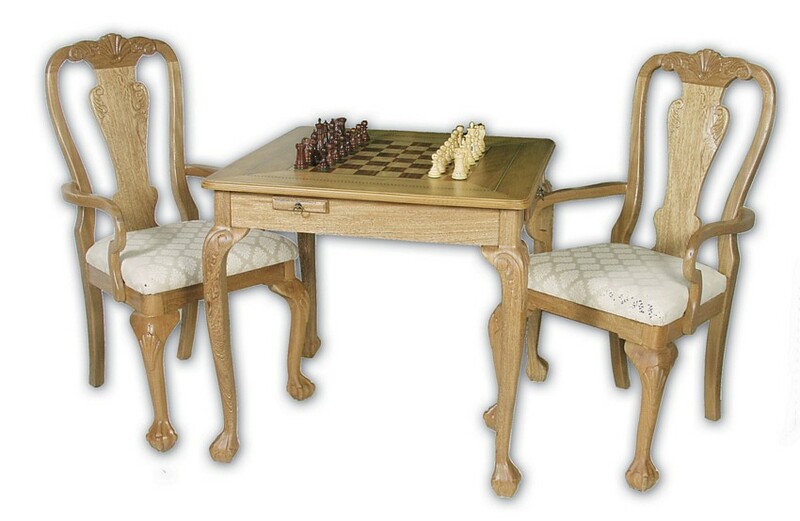 The table has plenty of room for "captured" pieces along with a standard chess clock. The table also has two drawers on each side for storage. Another simple, yet luxurious feature of this table are the cup holders on the side. Simply slide them out and place your beverage there or leave it inside for an elegant "flushed" look. . The body/table is built with carefully selected Oak woods (from the finest lumberyards in South America) and a Natural finish is applied. The wood is then dried to an 8% level to ensure no cracks and expansions occur later on in the chess tables life. 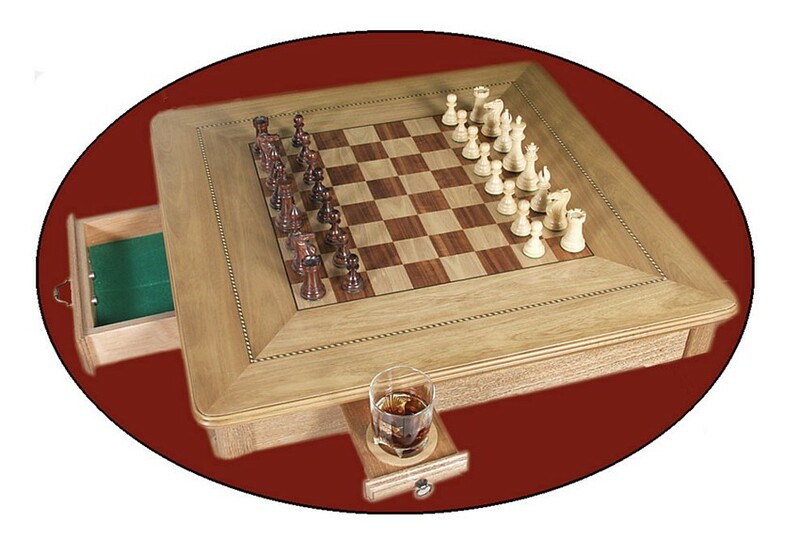 The playing board is made with veneers giving it a touch of finesse and originality. The dark squares are made with South American Rosewood and the white squares are Birds eye Maple (Imported from the USA.). This combination creates a board that is beautiful. Between the playing squares and the edge is a beautiful 1/8" wide strip of woods that give the playing board character. Assembly and disassembly of the legs is extremely easy. Table can be assembled in less than 5 minutes. * Hand Carved Ball and Claw Design. * 2 slide out cup holders on each side of the table. * Exotic woods for playing board. Dimensions:Table weights 60 pounds and measures 33"W x 33"L x 30"H. Squares are 2 1/4" x 2 1/4"